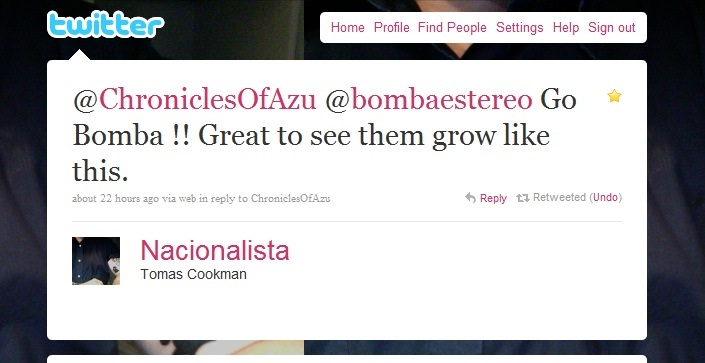 Remember back in July when I told you about an up-and-coming band from Colombia called Bomba Estéreo? Well, since their performance at the Stern Grove last summer, the band has literally exploded onto the music scene. They are currently touring and fresh from their very successful performance at Coachella they stopped in San Francisco to perform at The Independent. The eager fans did not mind staying up late on a Tuesday night in order to attend this spectacular show. Bomba Estéreo performed to a completely sold-out show and many people were turned away as they attempted to purchase tickets at the door the night of the event. 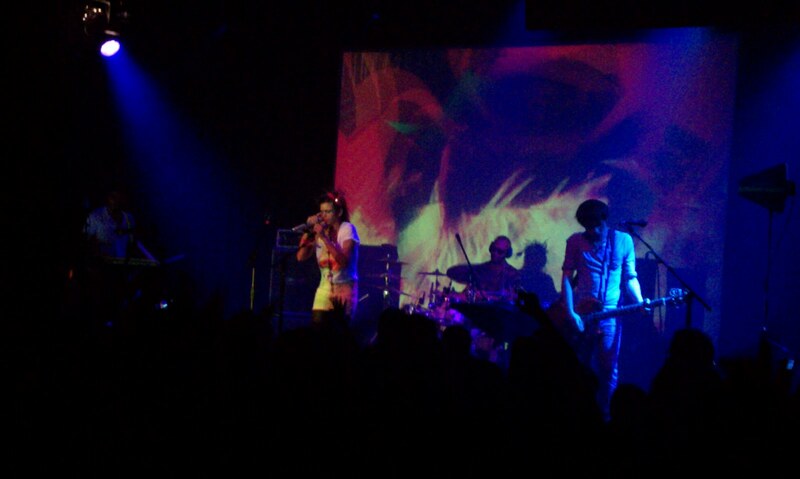 Before Bomba Estéreo took center stage, San Francisco’s very own Bayonics were in charge of opening the show, prior to this show I had known very little about this local band and needless to say I was very impressed with their hour-long set. 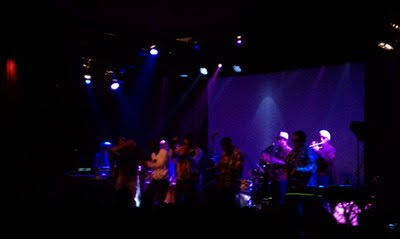 The band members took over the entire stage and pump up the crowd with their music fuse of hip-hop, regaee & cumbia sounds. Not only was there singing but also a variety of instruments being played by the members of the band as well as choreographed moves from the rest of the guys, their contagious rhythm made you want to get up and dance. 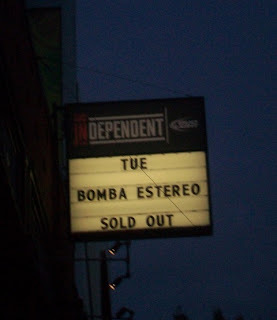 It was then time for Bomba Estéreo to take the stage; fans from all over the world were cheering anxious for the band to start their performance. Unlike their more earthy/outdoors performance from Stern Grove, this time the band brought in an interesting experimental sound to all of their songs. People were singing along to songs like Huepaje, Agua Sala’, Ponte Bomb & of course Fuego which made the fans go wild. All throughout the show I was tweeting updates about the show and I was pleasantly surprised to receive a tweet from none other than Tomas Cookman founder of Nacional Records and who just happen to be the man who signed Bomba Estereo to Nacional Records. 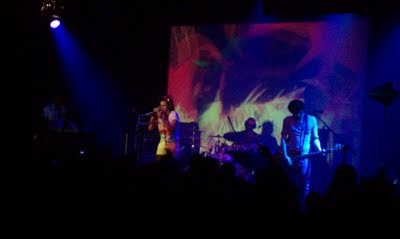 If you were of those who missed Bomba Estereo’s show last night do not fret! The band will be coming back on May 23rd to the New Parish in Oakland.